Last Sunday I had a nice morning/afternoon with Dani. We went to brunch at Early Toast followed by some shopping at Ulta and Old Navy as well as a few other errands. In the evening we went to FPU at church. On Wednesday I bought my ticket to the very first ever Sacramento WordCamp. The tickets sold out within two hours, but to be fair there weren’t a whole lot of tickets available because they are hosting it at The Art Institute and space is limited. Still, I’m excited to see how it goes and hopefully it will become an annual event. 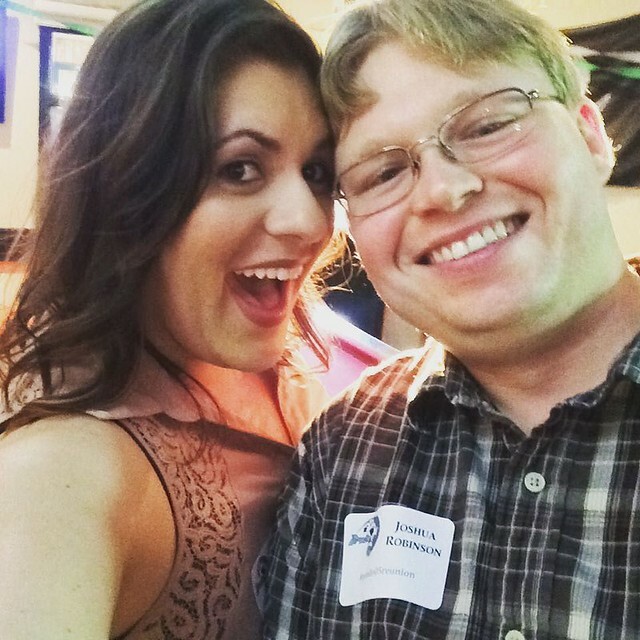 Yesterday I got my hair colored for fall, and I went with Joshua to his 10 year high school reunion. Overall it was nice and we knew a couple of people there, but it was definitely a reminder that in 10 years some things just don’t change, hah. Throughout the week I put the finishing touches on the laundry room, so I plan on putting up the reveal post tomorrow at the earliest. It’s looking good! This week I worked on a Facebook ad and eBlast for Mikuni, some design edits on another project, specs for Plum, and some portfolio pieces and social media cover photos for Three29. We also had a photoshoot at the office since we are nominated for a Best Places to Work Award, and they needed some pictures of the office. I’m also using the photos from it to redesign the Facbook and Twitter cover photos for Three29, so hopefully those will go up sometime this week. I put together my very first Reader Survey on SurveyMonkey as a way to find out who is reading my blog, what they get out of it, and what I can do to make my blog better for them. If you haven’t taken it, please do and help me build a better blog! I’ll be sharing the results probably at the end of the month in the form of a pretty infographic. Trying a new plugin called WP Security Audit Log as an alternative to Stream, and so far I like it way better. One of the things I liked about Stream was they had a dashboard widget, but they got rid of that in version 3 of their plugin; WP Security Audit Log has this feature plus more. I’ve been using Mint for analytics on my site long before I started using Google Analytics, and since Mint does a couple things that Google Analytics doesn’t do, I transferred it over from LovelyGeek.net to here since this blog has way more visitors. Published this week’s finds over at the Three29 blog. Oooo have fun at the WC Sacramento! One good way to make sure it happens again is to volunteer ;).